* Candidates must have passed HSC/10+2/Intermediate or Equivalent examination in Physics, Chemistry, Biology/Biotechnology and English from recognized board. * General candidates must have score of 50% (40% for SC/ST/OBC and 45% for General PH Candidates) of the total marks obtained in Physics, Chemistry, Biology /Biotechnology in the qualifying examination. 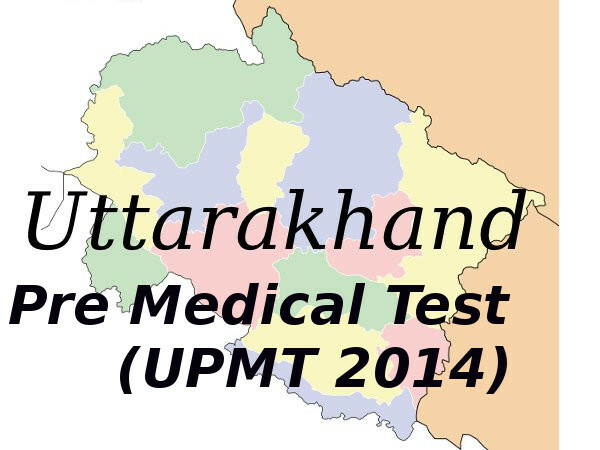 * Candidates must have attained 17 years of age on or before December 31, 2014 or on before the day of admission in the respective medical and dental colleges of Uttarakhand. * The upper age limit of candidates applying for UPMT 2014 is 25 years as on December 31, 2014. * There is relaxation of 5 years for applicants belonging to the reserved category (SC/ST/OBC). This page was last modified on 3 April 2014 at 17:04.